The only thing I grew up knowing that my Mum didn’t eat was brussel sprouts. I mean she ate everything else – lambs brains included, so I grew up thinking that brussel sprouts must be completely and utterly inedible, disgusting. I have no recollection of ever having eaten them under the age of about 38. I have no idea what ever possessed me to venture into the world of the unknown and attempt to cook (& potentially eat) a brussel sprout, but I’m glad I did. I have discovered that it IS possible to actually eat brussel sprouts, and what’s more, even enjoy them. I’ll have to cook them for Mum now! This is now my second favourite way to eat them… My favourite is at a fabulous Argentinian restaurant in Sydney called Porteno – it’s one of their signature dishes, and let’s just say, AMAZING. Given I can’t eat at Porteno very often, eating brussel sprouts cooked in coconut oil and bacon is the next best way. Let’s face it, there’s not much that doesn’t taste better with bacon! Melt coconut oil in a fry pan. Lightly fry onion and garlic. Add in bacon. Fry for a few more minutes. Add in brussel sprouts. Stir through stock. Once the brussel sprouts are well tossed in all the bacon/oil goodness, you might want to add in a tablespoon or 2 of water to make sure nothing is sticking to the bottom of the pan. Covering the pan for a few minutes will help to soften the brussel sprouts a bit faster. When they have softened (but not soggy! ), season to taste and serve with your protein of choice! 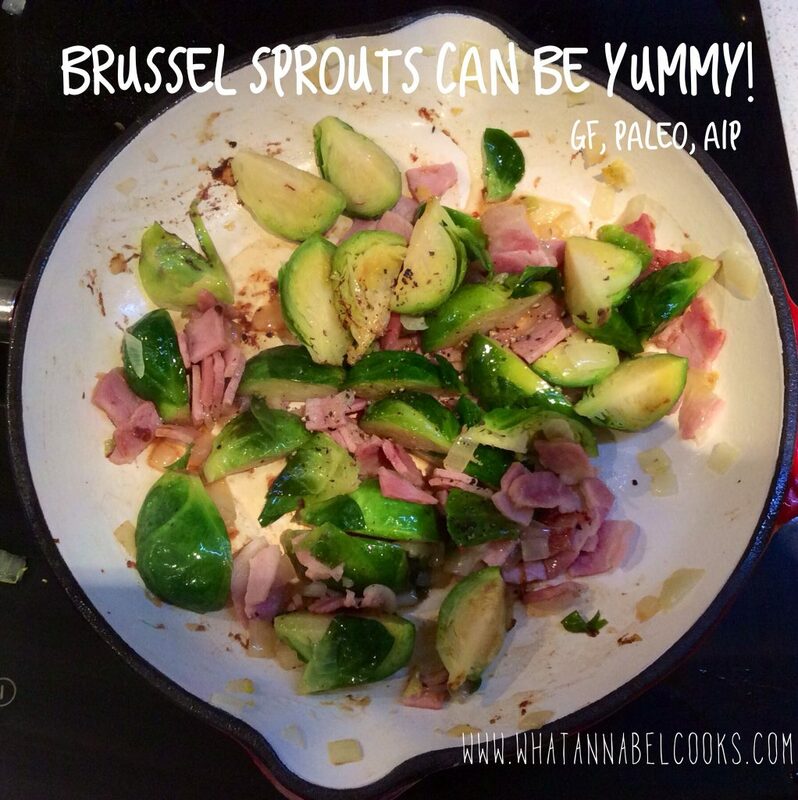 ENJOY & see that brussel sprouts really can be yummy!